Compozit Home Systems installs attractive and durable bay windows for homeowners in the Louisville, Kentucky, area who want to upgrade the style and energy efficiency of their homes. Our custom windows are constructed of expanded polymer composites that provide superior structural integrity and thermal performance, helping them to outperform windows made of wood, vinyl, or fiberglass. And, as a home improvement company that has been serving residents of the area since 1982, we have the experience and expertise needed to ensure that your window installation project is completed in a timely and efficient manner. If you’re looking for something slightly different, bow windows serve as an excellent alternative to bay windows, offering a similar look but featuring at least four separate windows in more of a curved semi-circle. Whichever you decide on, you can count on your new windows to offer unmatched quality and durability. And, our factory-trained installers will ensure that they are put into place with precision. 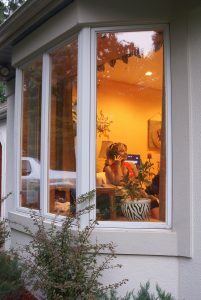 If you would like to schedule a consultation at your home in the Louisville, KY, area so you can learn more about the durable bay windows we offer, contact Compozit Home Systems today. Financing plans are available.